Marki Lemons-Ryhal, founder of Marki Lemons Unlimited, is a consultant, instructor, speaker and strategist, educating numerous REALTORS® on social media strategy. Over her 25-year career, Lemons-Ryhal has become an in-demand presenter for her relatability, skills and wit, imparting her knowledge to thousands. "My teaching philosophy is grounded in the fact that change is inevitable." Based in Chicago, Lemons-Ryhal is a longtime National Association of REALTORS® presenter, both at conferences and through courses online, and is a Certified Residential Specialist (CRS), e-PRO® and Seller Representative Specialist (SRS) instructor. 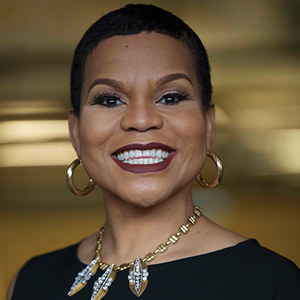 In addition, she is director of Education at Exit Realty Strategy, also in Chicago, and has been a speaker and/or trainer for the Chicago Association of REALTORS®, the Indiana Association of REALTORS®, the Women's Council of REALTORS®, and more. "2018 marks my 25th year teaching others," Lemons-Ryhal says. "My teaching philosophy is grounded in the fact that change is inevitable. Students must understand theory, and the importance of having a solid foundation grounded in facts, while knowing they must evolve and become lifelong learners to survive and thrive in today's real estate world. As an instructor, I utilize new and innovative tools to convey messages, whether oral, visual, or tactical. Through innovative, real-time tools, students are allowed to think beyond conventional theories and explore problems as they arise."